One of the main reasons why people dislike cooking at home is because cooking is a time-consuming process. This is especially true if it requires many steps to get a dish right. It may be healthier to cook your own meals, but in some cases this could take upwards of 6 hours. This is one of the main reasons why pressure cookers were invented. They help you to make your meals fast, while still maintaining the healthy, flavourful taste that you know and love. There are thousands of pressure cookers on the market, making it easy to get confused about which one is best. However, this Power Pressure Cooker XL Review should help you come one step closer to choosing the right cooker. 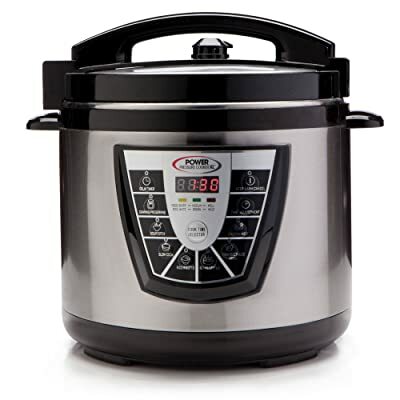 Whether you are looking for a small pressure cooker for yourself, or a large pressure cooker for your family, this review will help. 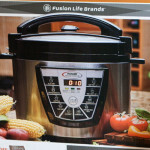 The Power Pressure Cooker XL is produced by Tristar Products Inc. This direct response marketing company has been around for over 20 years, and has released a number of household products. Some of their most popular household products include the Copper Chef, Fusion Juicer, the Micro Chef Grill and the Power AirFryer XL. Their latest offering is the Power Pressure Cooker XL which has been around since the middle of 2014. However, the product did not start creating a buzz until 2015. The company began doing infomercials on television around this time, and the popularity of the unit exploded. 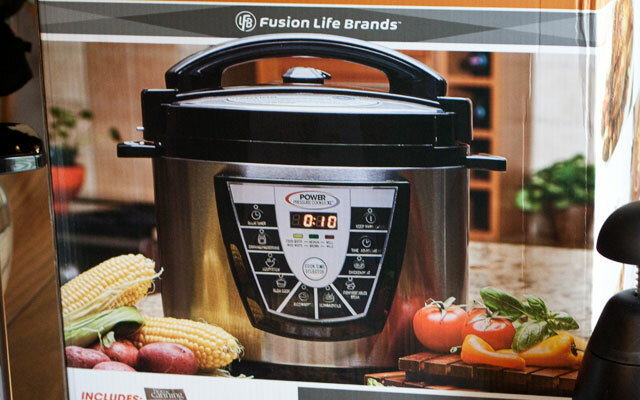 Tristar Products Inc. claims that this digital pressure cooker will be the answer to your cooking prayers. This is especially true if you like slow-cooked meals, as the company claims that these can be cooked “up to 70% faster than conventional methods”. The company’s claim has been backed up by several individuals, and a culinary expert. Eric Theiss, a world-renowned Chef, applauded the Pressure Cooker XL, saying he has “never seen a cook tool so easy…that anyone can make quality delicious meals”. Some of the most well established culinary brands have been released by Tristar Products Inc. With their history, it is no surprise that the Pressure Cooker XL has seen this much success. The Power Cooker XL is the cutting edge in digital cooking technology. This pressure cooker claims to give users the ability to cook complete meals at the touch of a button. It comes in a range of sizes, from a small 6-quart cooker to the large 10-quart option. Regardless of the size of cooker that you choose, the Pressure Cooker XL comes with special Flavor Infusion Technology. 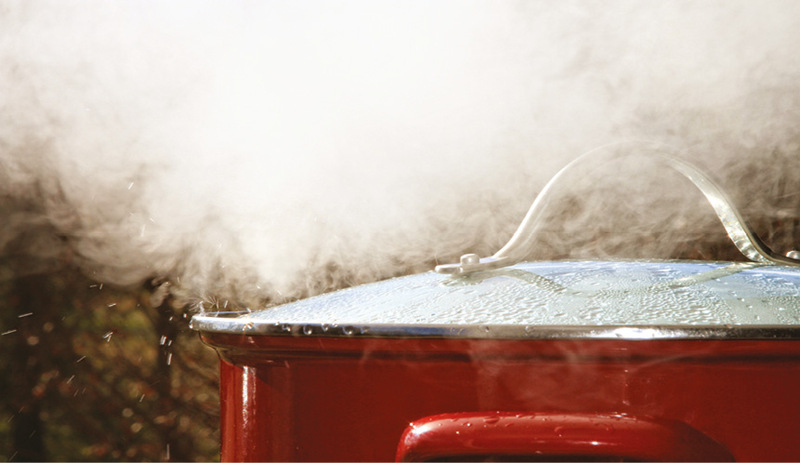 This helps to keep the super-heated steam inside the pot, ensuring that all the moisture is forced into your food. This not only helps you to have a healthier meal, it also helps to maintain the delicate flavors. The pressure cooker has been specially designed to handle a wide range of foods, including meat, fish, beans, stews and soups, and roasts. The cooker also allows you to place all your ingredients in at once, including frozen foods. This helps to save you preparation time, while ensuring that you get the perfect meal. The cookers come with a range of power settings, which range from 10 – 80 kPa. This allows you to brown and sauté a range of foods, from chicken to vegetables. It also allows you to can your favorite fruits and vegetables. All products in the range come with stainless steel housing, and an easy to read digital display panel. They also contain a built-in steam ledge, and a safe lock lid to help trap moisture in the cooker. 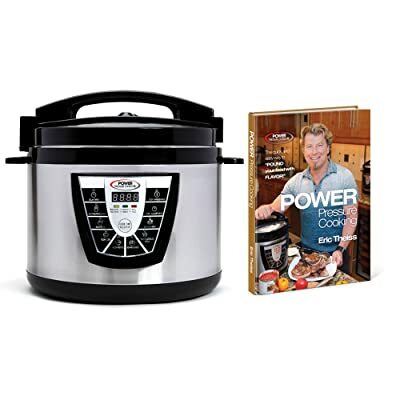 Once you are done cooking in the Power Pressure Cooker XL, it will help to keep your food warm. “Keep Warm” mode helps to maintain your food at a certain temperature until you are ready to eat it. Once you are done with your meal, cleaning the pressure cooker is simple and quick. This is mainly because of the pressure cooker’s removable non-stick inner pot. This pot is dishwasher safe, so you need not worry about spending ages in front of your sink. Perhaps the best part about owning a Power Pressure Cooker is the fact that the 8 and 10 Quart options come with a cookbook. The cookbook, written by Eric Theiss, contains a number of recipes to help you get started with your new cooker. The recipes are all easy, one-pot ideas that help to showcase the versatility of the product. As was mentioned earlier, this is the smallest of the Power Pressure Cooker XL products. This small pressure cooker is finished in shiny silver stainless steel, making it a fashionable fit for any kitchen. Despite its size, this pressure cooker is still capable of catering to the needs of a medium sized family. This pressure cooker helps to show just how much 2 quarts can matter. Like its smaller counterpart, it has a beautiful stainless steel finish that will help it fit into any kitchen. The versatility of this product means that devices such as rice cookers, canners, slow cookers and soup makers become obsolete. This allows you to make the most of your time, as you no longer have to worry about long prep times. However, the best part of this purchase is the cookbook. 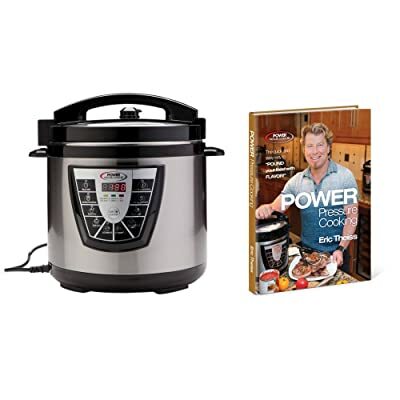 Eric Theiss has blessed buyers of this Power Pressure Cooker XL with 138 if his own recipes. The book is meant to help to start you out on your culinary journey with the cooker. The largest of the Power Pressure Cooker XL range, this 10-quart cooker is perfect for medium to large families. Not only will it help to replace many of your kitchen appliances, it will also help you prepare meals faster than ever. The cooker comes with a wide range of cooking modes at the touch of a button. In addition, the automatic Keep Warm Mode allows you to keep your food warm until you are ready to devour it. However, perhaps the best feature of this pressure cooker is the delay timer, which allows you to delay the cooking time. This allows you to put your ingredients in the cooker, and have them start cooking at a later time. This means that you can leave for work in the morning and not have to worry about dinner, as it will be ready when you get home. If you would like to save on some kitchen appliances then you should consider buying one of these pressure cookers. However, if you have never used a pressure cooker then you should look elsewhere. These cookers are not very tricky to use, but they do need a certain level of comfort. In addition, they are not suitable for ALL meals. They should be used for items that are tough, or those that would typically take hours to cook. However, with a little experimentation, you will feel like a gourmet chef.